Helix Well Ops UK (Well Ops), a business unit of international energy services company Helix Energy Solutions Group (Helix ESG), has successfully completed a three-month campaign for West Africa’s first well intervention work and subsea well operations conducted from a mono-hull intervention vessel. Operating the 132-metre (433ft) long Well Enhancer, Well Ops performed a subsea tree change out, well suspensions, well maintenance and production enhancement on seven wells in water depths of up to 471m (1,545ft). This project represents the deepest operation conducted from Well Enhancer since it joined the fleet in 2009. The Well Enhancer’s arrival in the waters west of Africa marked the emergence of mono-hull-based well intervention services in a region that is experiencing rapid development. 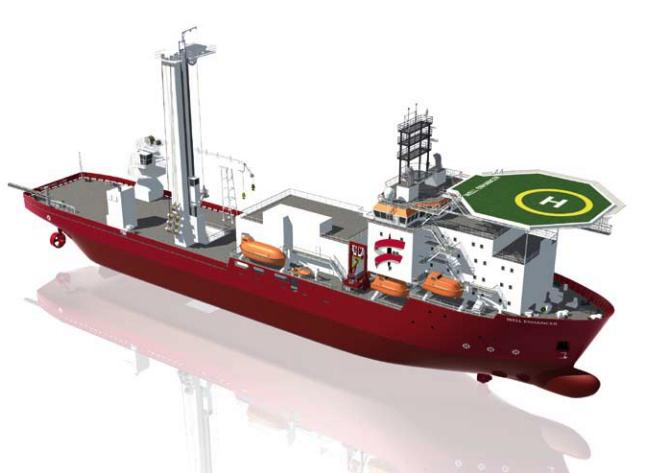 Compared to rig-based methods, intervention programs delivered from mono-hull vessels provide numerous operational and cost benefits to operators. Well Enhancer provides remotely operated vehicle (ROV), saturation diving and riser-based and riserless well intervention services. It features a 150-tonne multipurpose tower which is capable of deploying slickline, e-line and coiled tubing tool strings for well interventions in water depths of up to 600m (1,968ft) for wireline and 200m (656ft) for coiled-tubing. The vessel’s other key features include a 7⅜” subsea intervention lubricator which is a conduit for both live well access and well containment, an 18-man saturation diving spread, work and observation class ROV’s, kill pumps, and a 100-tonne crane which is rated to operate to water depths of 600m (1,968ft). A business unit of Helix Energy Solutions Group, Aberdeen-based Helix Well Ops UK provides a range of well operation and decommissioning services using specialist vessels and innovative equipment. Launched in 1987, MSV Seawell was a pioneer of the light well intervention market and completed its first wireline intervention project in 1988. In 2009, Well Ops expanded its fleet with the launch of Well Enhancer, a 132-metre (433ft) long well intervention and diving vessel. The company employs 70 staff in Aberdeen and a further 300 offshore. Posted on March 19, 2012, in AMERICAS, Completions, North America, Oil & Gas - offshore, Service, Subsea, Subsea Systems, United States, Well Intervention and tagged Aberdeen, Africa, Complete, Helix Energy Solutions Group, Helix Well Ops, Intervention, Q4000, Remotely operated underwater vehicle, Saturation diving, UK, well, Well Intervention, West, West Africa. Bookmark the permalink. 1 Comment.